2600 Spider Touring 10601*192753, 00106*065980. This car is available now from the good folks at Fantasy Junction. Color combo is an inspirational Champagne gold with red leather, and it looks amazing. These big Touring Spiders have been popular with the high-dollar crowd for a while and represent an interesting slice of motoring. 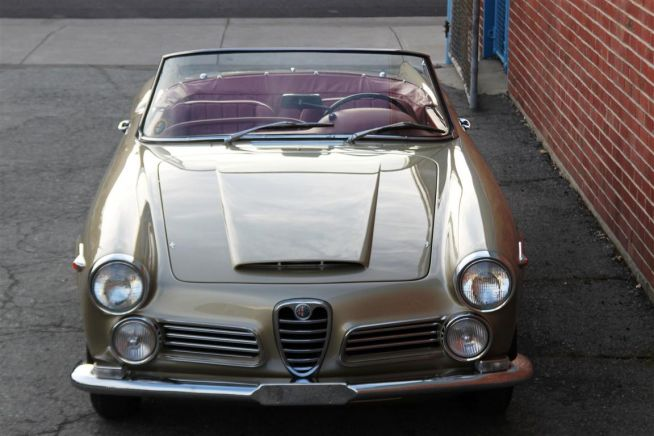 Where a Giulietta is all nimble-ness, rev and simplicity -a motorized womb for the born to race, these are quite the opposite -fast but not quick, ponderous yet capable and as complex as a – well, I don’t actually have a good comparison, as complex as a Flaminia? Too specific, as a Cold War era Soviet satelite? Likely to get me watched by the anti-authorities. 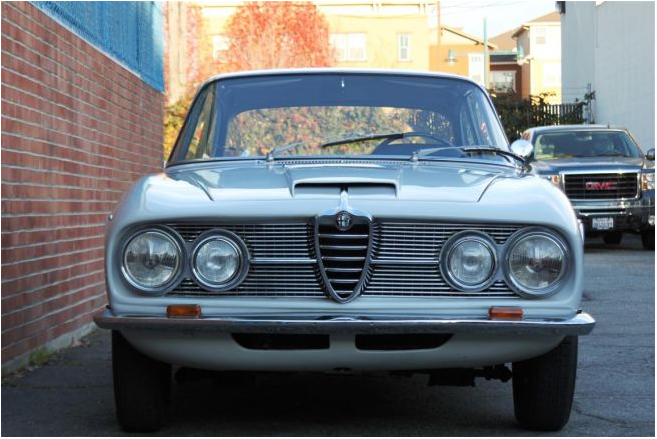 How about ‘as complex as a Giulietta is simple’. Sure. Looks like a 1600 Giulia Spider with some accoutrements and, er, well, then it hits you –like a Giulia Spider that has a tooth for Bon-Bon’s. Dig the built in driving lights.